records for Pará state. The richness families in this study were the ones typically found in tropical forest surveys. species composition were determined mainly by the physiognomic characteristics of the studied forest fragments. 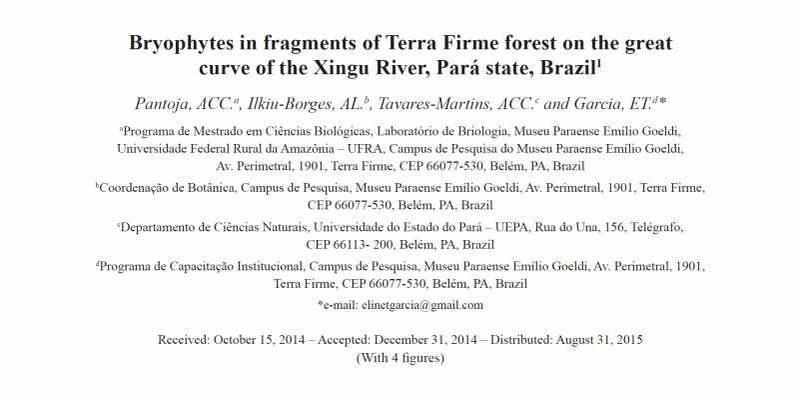 Keywords: brioflora, Amazonian flora, liverworts, mosses.